We are very excited to announce our full Victorian Electronic Records Strategy (VERS) Accreditation. This is an achievement our team has been working towards since June 2013 and has seen Info-Organiser undergo extensive development and stringent testing to meet the VERS record management standards. 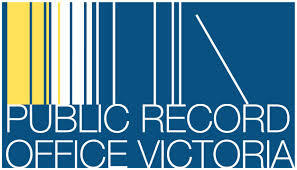 VERS has been developed by the Public Record Office Victoria to help Victorian government agencies manage, store and access their electronic records, and to ensure that Victoria’s key electronic information will be identified, preserved and accessible in the future, regardless of how it was created. Info-Organiser now has an official listing on the VERS website with full certification. Is this important for non-government sectors? VERS gives any Info-Organiser customer the additional peace of mind that Info-Organiser meets stringent government regulations relating to electronic document management and archiving. This is important for compliance to ATO regulations and laws. To complement our VERS accreditation, the new 2014 Info-Organiser Version 10 will now include important new record management functions. The first of these is that it will have document destruction compliance protocols. Second you will have the ability to keep track of your paper records. You will be able to record the existence and location of hard copy files yet to actually be scanned and indexed into Info-Organiser. You will then be able to locate these paper records in your searches, making finding the files a whole lot easier and quicker. Start your records management strategy today – Ask us for an online demo of Info-Organiser.